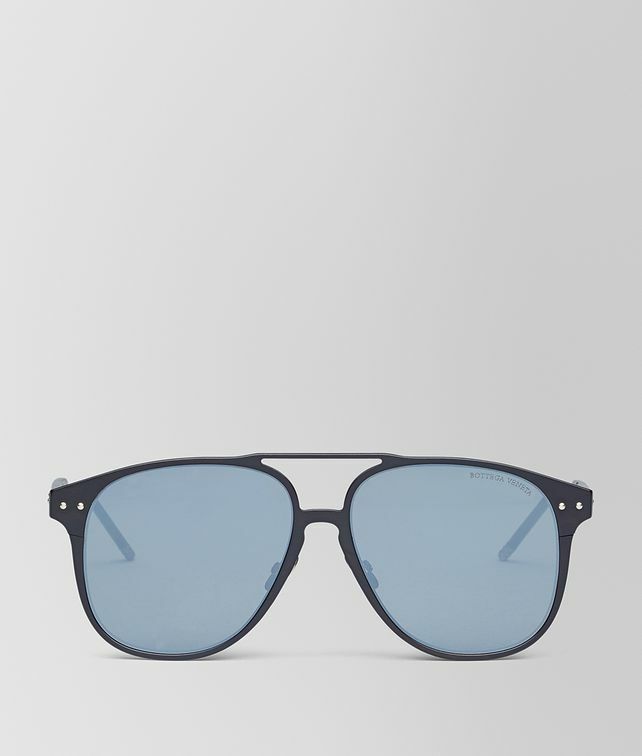 A modern take on the classic aviator, these sunglasses are made from a new aluminium alloy for an ultra-lightweight and flexible fit. The pair is detailed with our signature intrecciato pattern on the temples and tips, and the Bottega Veneta logo is discreetly engraved on the inside hinge of the temples. Iconic metal rivets and distinct grey lenses complete the look.